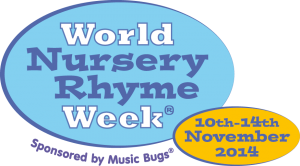 Bright Kids Studley will be getting involved with World Nursery Rhyme Week this November (10th-14th). On Monday 10th children will be learning all about Old King Cole. They will be decorating crowns, making fiddles, colouring and taking part in jewel water play, princess play and learning about castles. One Tuesday, it’s Oranges and Lemons day. There will be orange and yellow play doh, water play, arts and crafts and food tasting. On Wednesday children will be learning Hey Diddle Diddle and making animal masks, moon biscuits, taking part in moon dust play, spoon puppet play and decorating dishes. On Thursday it’s Five Currant Buns day, when children will be making and donning bakers hats, baking buns and solving numeracy problems. And on Friday 14th children will be learning and singing I Hear Thunder, creating rain shakers, taking part in water play, designing umbrellas, wellington boot printing and making stormy pictures.